We look to the new Financial Year with top dividend stocks, the FinTechs outperforming and an A-REIT update. Welcome to the June edition of Investor Update. This month Elio D'Amato from Lincoln shares their top 10 dividend stocks for the new Financial Year. Wilson Asset Management gives us their FY18 outlook, and we focus on infrastructure, A-REITS and FinTech sectors. Plus find out what your fellow investors are doing - we look that state of the nation in the ASX Australian Investment Study 2017. 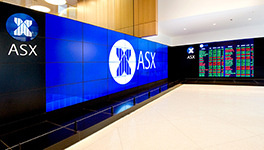 About: Key local and global factors for Australian shares over next 12 months. About: Outlook for income stocks and yields over the next 12 months. About: Why the A-REIT sector is in excellent shape for continued solid returns. Are infrastructure and utility stocks revving up again? About: What the share-price charts say about Transurban, Sydney Airport and Telstra. 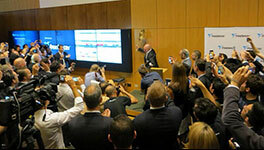 About: Emerging finance-technology companies attracting interest. About: Simplest way to add value is being in the right asset at the right time. 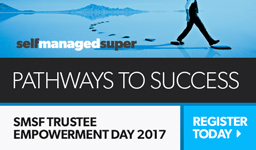 Presented by selfmanagedsuper the SMSF Trustee Empowerment Day will provide SMSF owners with information designed to improve compliance, strategy and investments knowledge levels. September, east coast locations. On July 26, 2017 get unbiased, actionable ideas from Australia's top investors. This year's event features 4 of Australia's biggest thinkers, 3 'Masters of the Market' and 6 of the brightest stock pickers. Tickets go on sale via the Livewire website 14 June. Join free at Livewire to be notified of ticket sales. How do I start? Do I have enough? Key questions that Rebecca helps answer for Millennials who know they need to invest, but need help getting started.